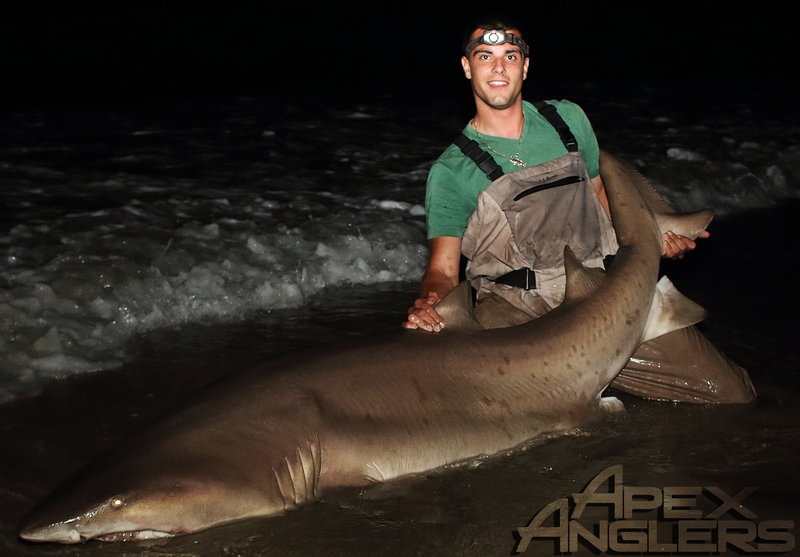 Met up with the night crew, which consisted this time of Jude, Chris, Andrew, and Thomas and had yet another productive trip on the big Sand Tigers, a few Sandbars, a Bat Ray and a couple mystery fish that were broken off after long tiring battles. I am far too tired to put up a full report so the photos must speak for themselves, this time. 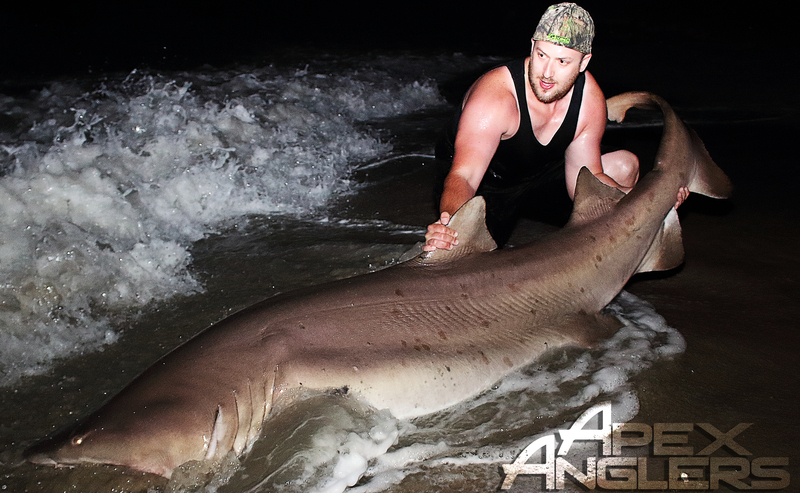 Remember, land based shark fishing guides officially begin tomorrow night and will run throughout the summer. Please check the schedule for availability. Dates are disappearing fast and will not last long! 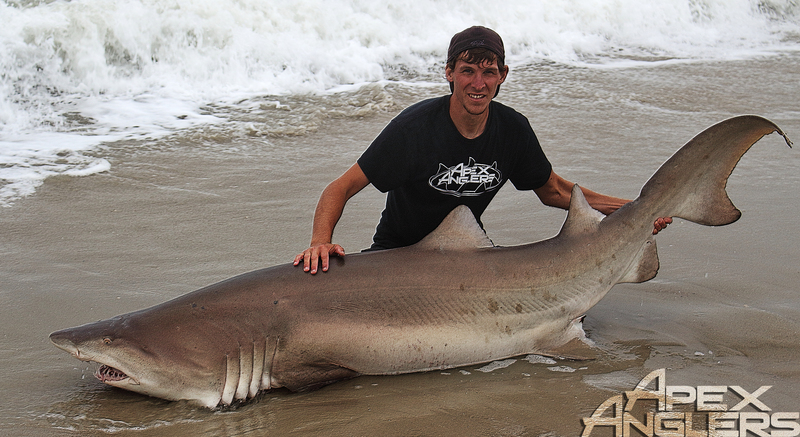 Jersey Shark Insanity - Season Opener Brings Monster Sharks!